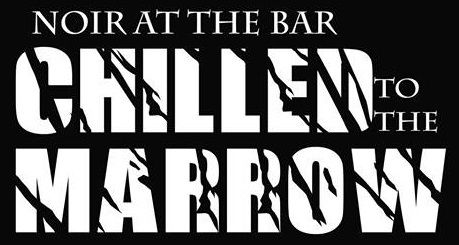 I’ll be joining a crew of great writers in Philadelphia this Sunday night (Oct. 28) for another Noir at the Bar! The show begins at 6:30 p.m. at Misconduct Tavern, 1511 Locust St, Philadelphia. Admission is free, and the restaurant serves great food and drinks, so join us! A stellar crew made the most recent Harrisburg Noir at the Bar one to remember. We took over the second floor at Sturges Speakeasy in Harrisburg, PA, on Sunday night, May 20, and had a blast. Owen Laukkanen, who was on tour in support of his latest novel GALE FORCE, which has been praised by the likes of Clive Cussler and Lee Child. And last but certainly not least, singer-songwriter John Austin and trumpeter Nathan Froehlich, who helped end the night with the surreal experience of me performing a (mostly spoken-word) song (the very romantic “We’re Still in Love”). If you want to know more about the authors, check out their full bios here. Noir at the Bar returns to Harrisburg, Pennsylvania, tonight! Festivities begin at 6:30 p.m. at the Sturges Speakeasy, 400 Forster Street. Admission is free, the restaurant serves great food and great beer, and there will be book giveaways. So join us! Owen Laukkanen, author of the brand new maritime adventure thriller Gale Force (which has been praised by the likes of Clive Cussler and Lee Child), along with six critically acclaimed Stevens and Windermere FBI thrillers. Robb Cadigan, author of Phoenixville Rising and an upcoming second novel which is based on a true crime story and set in Pennsylvania. Beth Fantaskey, author of five paranormal and mystery novels for young adults and middle-grade readers and (as Bethany Blake) the Lucky Paws Petsitting Mysteries. Gabriella Gill, author of Saving Metropolis, Behind the Mask, and the upcoming The Gentlemen’s Flying Club. Merry Jones, author of Child’s Play, the third novel featuring unreliable narrator Elle Harrison, as well as a series of thrillers featuring heroine Harper Jennings, an Iraq war veteran. Catherine Jordan, author of the paranormal thrillers The Book Seller’s Secret and Seeking Samiel. Jon McGoran, author of eight novels including Spliced, a near future science fiction thriller, and the ecological thrillers Drift, Deadout, Dust Up, and Down to Zero. John L. Micek, author of the upcoming novel Saving Time and the opinion editor and political columnist for PennLive/The Patriot-News of Harrisburg, Pa.
David Nemeth, writer of the crime fiction blog Unlawful Acts and a columnist at Do Some Damage. And last but certainly not least, singer-songwriter John Austin, who has released 10 critically acclaimed albums, will be performing a new song with… me. But don’t worry, I won’t be singing. I hope to see you tonight at Sturges Speakeasy! Baylee Schultz, a student at Wilmot High School in Wilmot, South Dakota, is the winner of the second annual James & Jeanne Arneson Memorial Scholarship. The scholarship is awarded to graduates of Wilmot High School who display an aptitude in creative writing by authoring a short story. Baylee’s story, “The Market,” was chosen as the winner by novelist Merry Jones and the scholarship selection committee. “The Market” opens with a compelling and disquieting question — “Have you ever wanted to just fall out of your own body?” — and explores the terror of human trafficking. Baylee was presented with the $250 scholarship during Wilmot High School’s Academic Awards Program. She also received a signed copy of Merry Jones’ latest thriller, Child’s Play. Special thanks to Wilmot High School principal Larry Hulscher and especially English teacher Danielle DeGreef for all of their help. You can learn more about the scholarship, including the reason it goes to a student at Wilmot High School, right here. If you’d like to make a tax-deductible (at least in the U.S.) contribution to the James & Jeanne Arneson Memorial Scholarship Fund, the South Dakota Community Foundation makes it easy. No contribution is too small. Thank you! 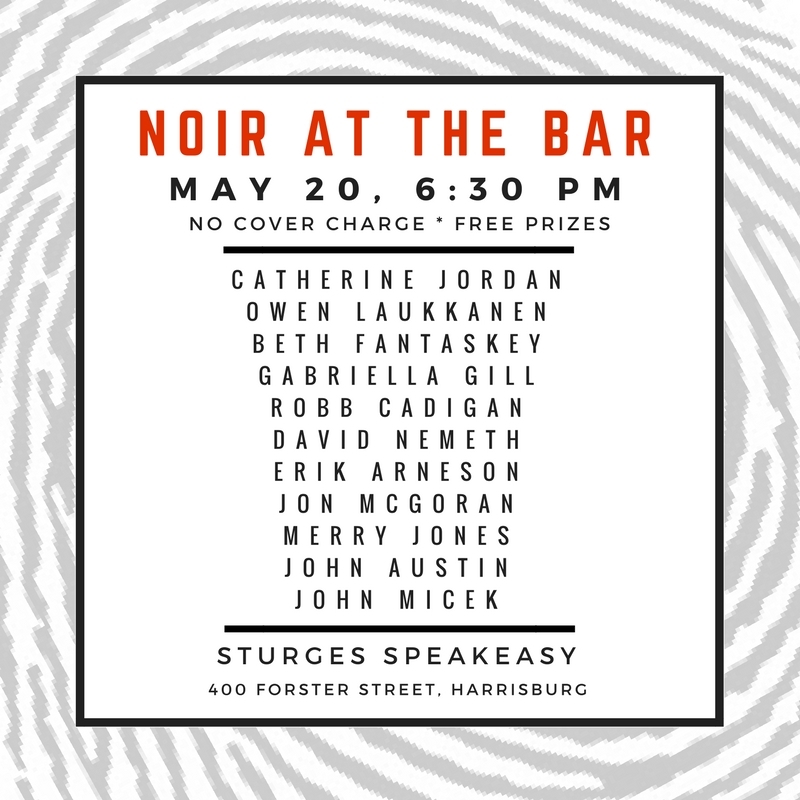 Noir at the Bar in Harrisburg – Tonight! Go out and vote — and then join us at Sturges Speakeasy (400 Forster Street) for a great lineup of authors reading some fantastic fiction! The show starts at 6:30 p.m.
I’ll have copies of my new short story collection, THE THROES OF CRIME, available. Hope to see you there! 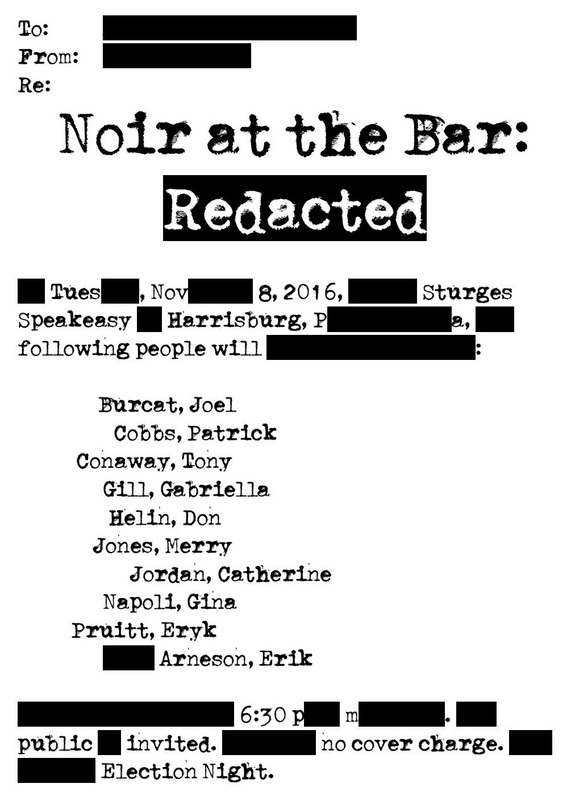 Noir at the Bar returns to Harrisburg, Pennsylvania, on Tuesday, Nov. 8! Last night’s Noir at the Bar in Harrisburg was great! 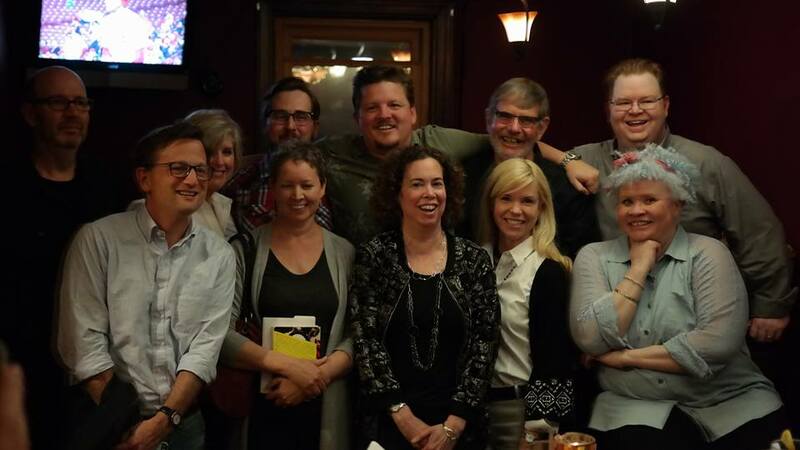 The second floor at Sturges Speakeasy was packed, and the 12 authors who read their work did an outstanding job.